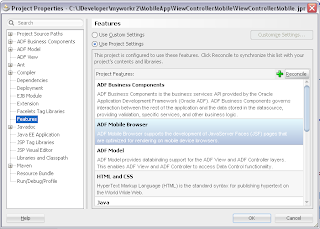 This post provides sample code to cover complete use case scenario for mobile and simplify initial development phase for ADF mobile browser application. As it was presented on OOW this year, in the future we will have advanced ADF mobile support for HTML5, mobile application will leverage advanced functionalities offered by mobile frameworks. This is future, I will describe what is available today. 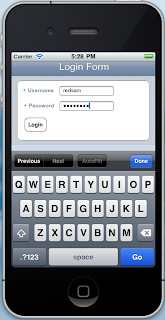 Read more about ADF Mobile - Mobile Application Development with Oracle ADF Mobile. 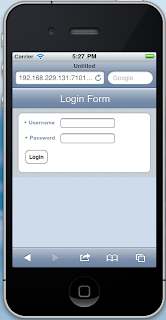 Download sample application - MobileApp.zip. 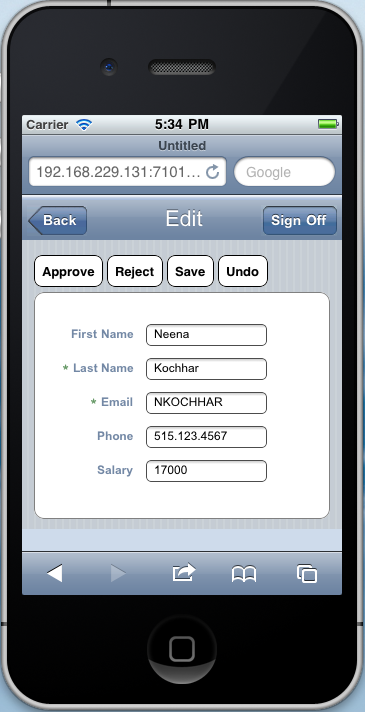 This sample was created by aggregating different resources from Oracle ADF Mobile developer guide. It is designed with JDev 11g R2, but it works with JDev 11g R1 as well (just few minor changes will be needed for CSS style manager class). Additionally to information from developer guide related to mobile functionality, I went one step further and completed ADF part as well. I believe this may help to design and implement ADF mobile browser applications easier. 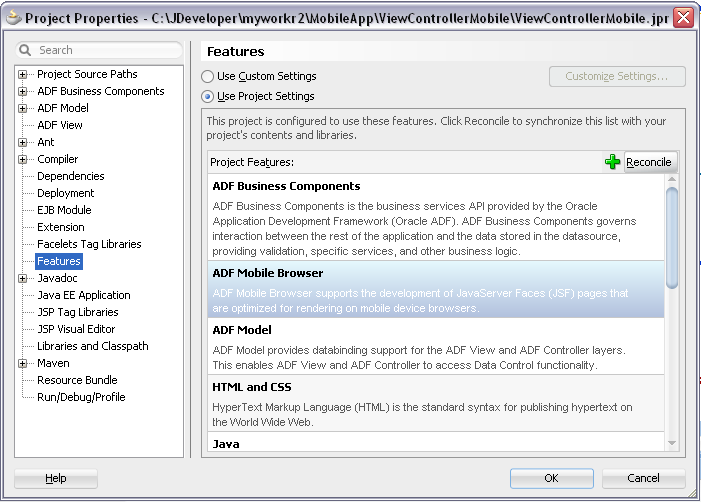 You can use provided sample to Jump Start your mobile development with Oracle ADF. Hi, the code gives errors because of the version I think. I get a compilation warning "<Unable to load descriptor D:\ADF_workspace\MobileApp\ViewControllerMobile\public_html/WEB-INF/weblogic.xml"
and a deployment error "<Unable to load descriptor C:\Users\...\MobileApp\ViewControllerMobileWebApp.war/WEB-INF/weblogic.xml of module ViewControllerMobileWebApp.war. 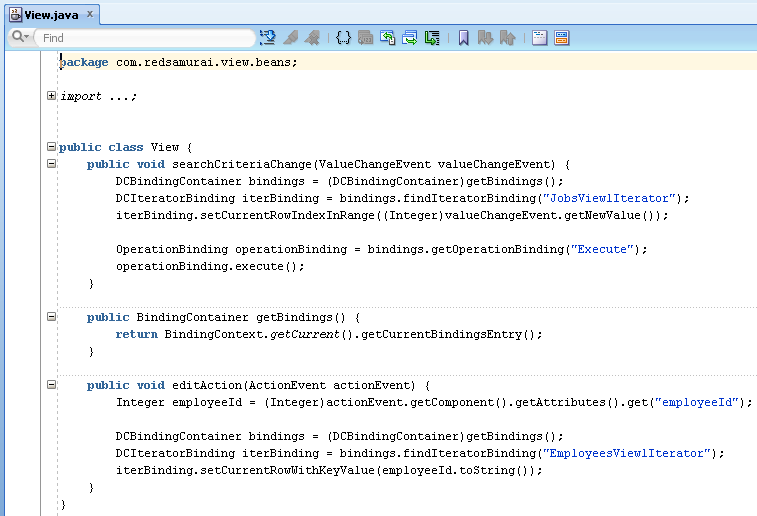 The error is weblogic.descriptor.DescriptorException: Unmarshaller failed"
Which version of JDev/ADF you are using? This sample app is developed with JDev 11g R2 (11.1.2.1.0). 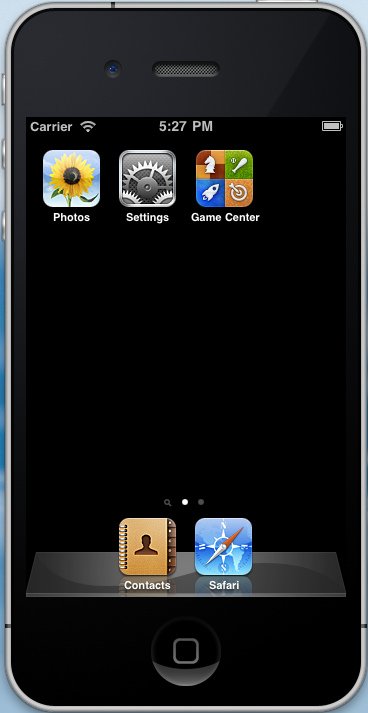 Open MobileApp workspace and start "view.jspx"
I use Jdeveloper 11.1.1.4 and thanks for the tip. 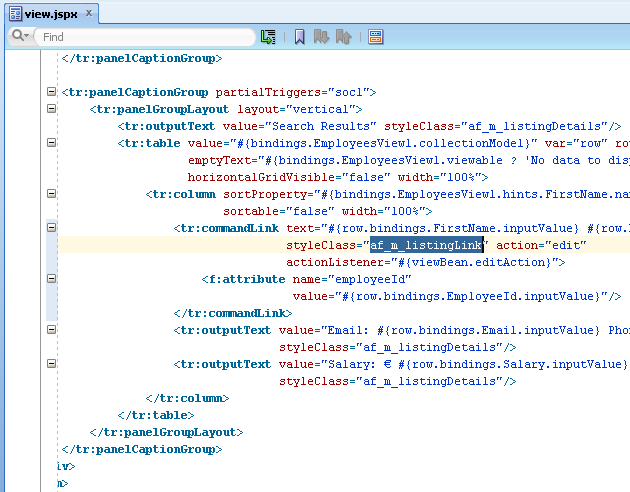 I found multiple entries in my weblogic.xml. When I removed those, it deployed fine. But still, I found it working in my normal browser (chrome) but got an exception in my Iphone browser once I login with username and password. 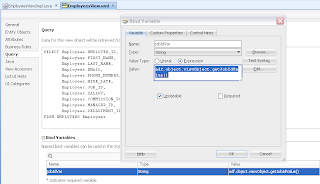 You must run this sample with JDev 11g R2 (11.1.2.1.0). Its clearly indicated in the post. 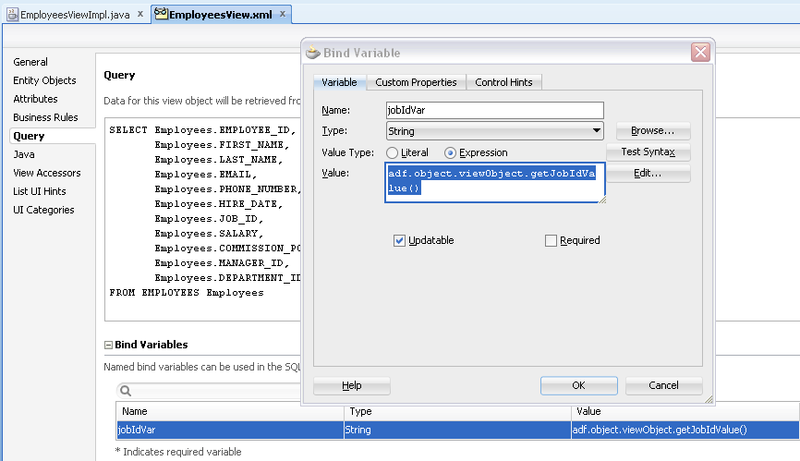 Thanks Andrejus for reminding about the version JDev 11g R2 (11.1.2.1.0). It's a great post and i like it very much. very nice and its help me very much. Hi Thanks for Sharing this post really i most like it. Thanks for the awesome post.This is a real good post to start off with ADF Mobile. I was able to launch the application but somehow its not showing the CSS. It doesn't recognize the css both in my mobile browser as well as desktop browser. Do I need to do some setting for the same. You are testing on Mac OS desktop browser? Hey, Thanks for this post....I want to know more about Mobile Application Development so please share more and more post with us. 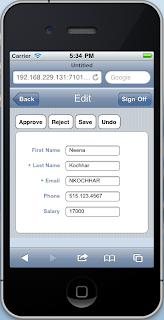 How can we implement Date picker in mobile ADF browser application?? Trinidad doesn't support date picker for mobile. Hi, Thanks for the good blog. 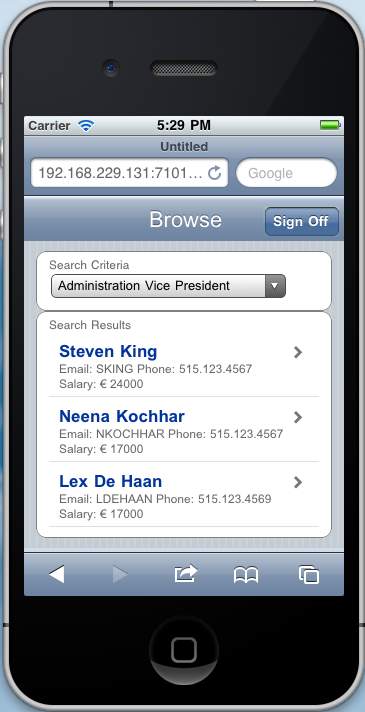 This is a URL driven mobile browsing sample. 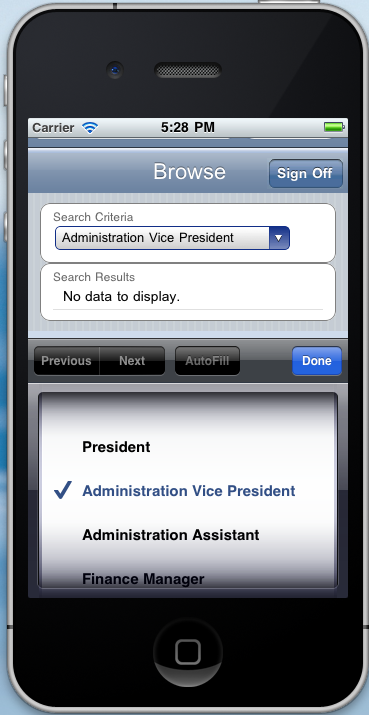 Is there a way to develop a downloadable iphone app using ADF? (like the one normally developed using cocoa etc..)? 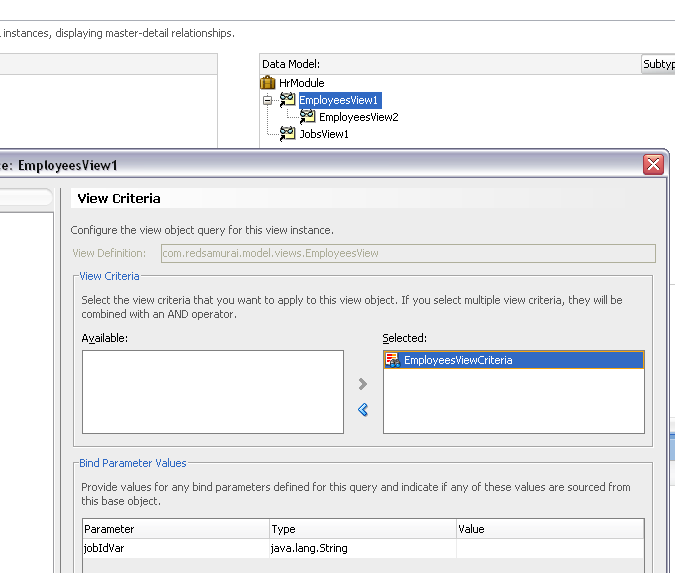 This is expected from next version of ADF. 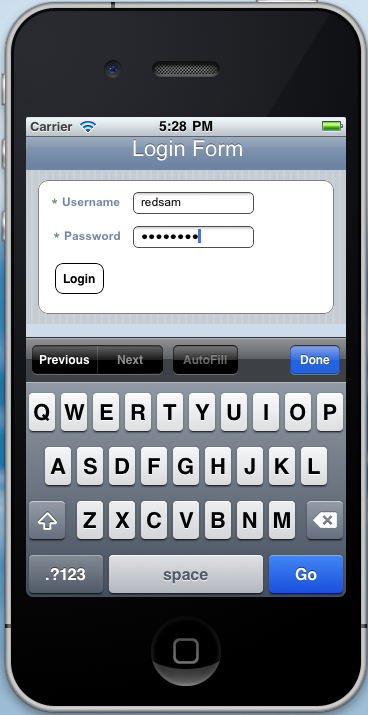 how can we implement date picker in adf mobile.. is there a work around? Or how can i achieve this functionality?? No workaround as I'm aware, just let user type date manually. Is a bug in Trinidad faces. Can we have modal support(pop up) using ADF mobile browser like the one we get in iphone? @Balu, I get the same error. I suspect it is something new with JDev 11.1.2.3.0. I will test this during the weekend and will post update. Indeed it doesn't work - but you can make it work by copying web.xml from mobile ADF application created with JDev 11.1.2.3.0. 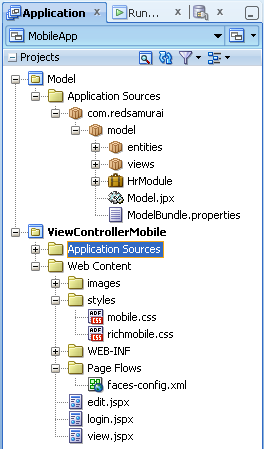 Also double check that ViewController have all libraries as mobile ADF application created with JDev 11.1.2.3.0 (you will need to add few of them). when iam trying to run the login page following error is occur. Could you please give me solution. Please specify JDev version you are running? This issue is not reproduced. And what if you create new ADF Mobile web browser application, you get same error on your machine? Thanks, When we recreate a new ADF project, we arenot seeing the same issue. Not sure why this issue is poping up at times. And another issue is, we are trying out this example. But we are unable to see the error messages when login failed. 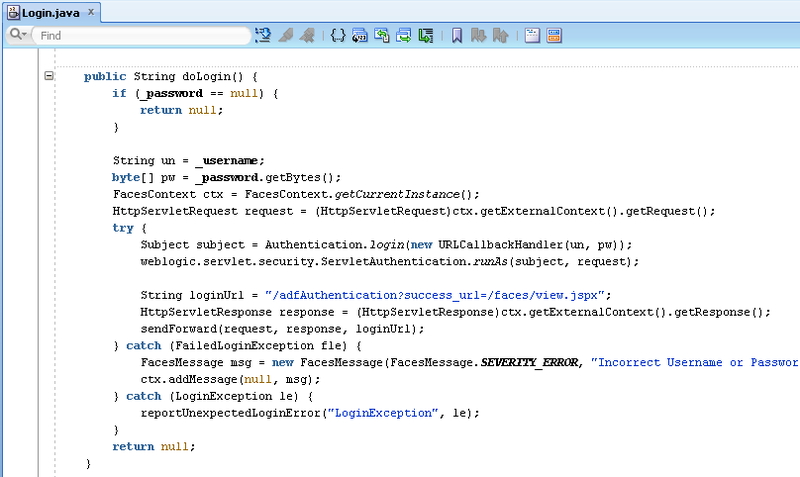 We have implemented the same login that u have mentioned in ur login bean, adding messages to FacesContext. It might be not supported by Mobile browser. You can show text instead of the popup. 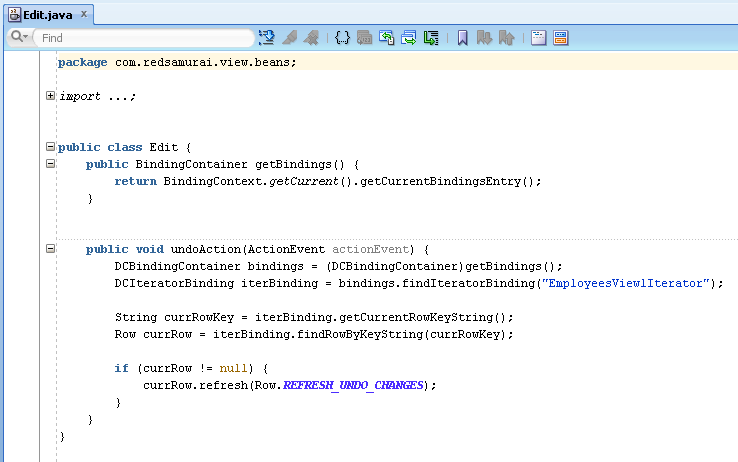 As per your code below in catch, can you please let us know how can we modify for show text? 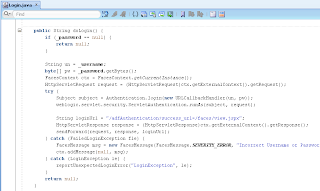 Add outputText on Login page, add binding property and set value dynamically in request scope. Got the error message working, thanks. And now we are having issues in dispatching to next page when successfull. We are getting HTTP 404 error. I am back again with one more issue :). 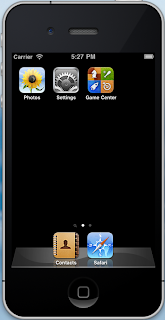 Same appears in both IoS and Android devices. 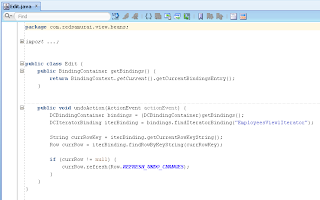 In your blogs the screenshots of table for perfect, the only difference i have used JSF1.2 instead of 2.0. Please throw some light on this. 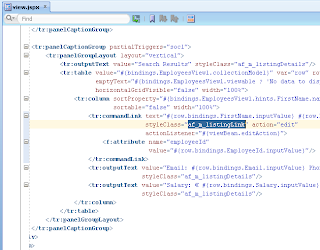 I am not able to see the jazn.xml from the zipped sample,how do i run the sample you provided from Jdev,should the login.jspx be run to get the URL?? Thanks this is great works fine,I tried to accomplish Google-Like Search in ADF Mobile Browser. 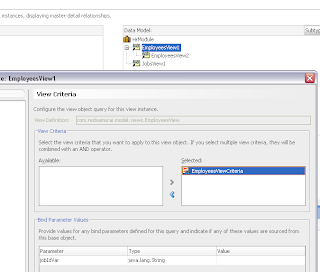 I found that Auto-Suggest behaviour is not available in ADF Mobile. Is there any work around to achieve auto-suggest behaviour? I would like to deploy this app on GlassFish Server. Is this possible? I have successfully deployed ADF Essential and sample app from your post. 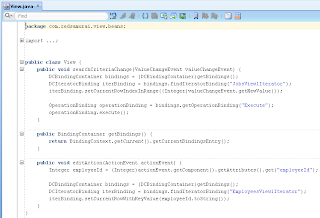 It should be possible, its using only plain ADF libs and Trinidad. As in your example program i am using table factor to show history of sequence. But the table dimension is increasing beyond the dimension Same seems to be in both iOS and Android working system os devices. I am new to ADF mobile browser but working on ADF from quiet some time. I have a basic question. 1)If i develop a normal web page using ADF web application(ADF faces), can i render the page in mobile device with the mobile look and feel using "render in mobile device" checkbox while creating page? 2)IF i specifically use ADF mobile browser technology, can i access the page with good look and feel in laptop/desktop browser? 3) IF thats not the case, do i have to develop separate ADF pages for Desktop browser and mobile browser?